Workers’ compensation is insurance that provides cash or medical care benefits for workers who are injured or become ill as a direct result of their job. Employers must pay for this insurance, and may not require the employee to contribute to any cost necessary for compensation. Weekly benefits such as monetary payments and medical care are given by the employer’s insurance carrier, as directed by the Workers’ Compensation Board, a state agency that processes the claims. It is not enough to just have insurance as an employer. It is the employer’s responsibility to also provide immediate emergency medical treatment for employees who are injured on the job. They must complete a full report of the injury, with the injured worker’s review and mail it to the nearest workers’ compensation board office within a timely manner. A claim is paid if the employer or insurance carrier agrees that the injury or illness is work-related. If the employer or insurance carrier disputes the claim, no cash benefits are paid until the workers’ compensation law judge decides who is right. If a worker is not receiving benefits because the employer or insurance carrier is arguing that the injury is not job-related, he or she may be eligible for disability benefits in the meantime. Any payments made under the Disability Program, however, will be deducted from future workers’ compensation awards. In a workers’ compensation case, neither party is determined to be “at fault”. The amount that a worker receives is not decreased by perceived carelessness, nor increased by an employer’s fault. Although workers’ compensation laws provide treatment to injured employees, they are also meant to protect employers, as they are designed to be the only remedy that injured employees may seek from their employers. One may find that an employer frowns upon employees who file workers’ compensation benefit claims, and some blatantly discriminate against such employees. It is of the business owners best interest to comply with the rules and regulations set forth by the Workers’ Compensation Board. Failure to do so could easily result in further fees, punishments or even lawsuits. If you or someone you know has been injured at work or is dealing with a workers’ compensation case, call Losi & Gangi at 716-854-1446 and speak with one of our experienced attorneys. This article has been adapted from information gathered from other sources including http://www.wcb.ny.gov/. Since its formation in 2000, the law firm of Losi & Gangi has seen steady growth in the areas of workers compensation and personal injury cases. Led by managing partner Jeff Gangi, the firm has seen accelerated growth over the past two years with the acquisition or two long-standing workers compensation firms. In 2017, Losi & Gangi acquired the law practice of Giles Manias. Manias has more than 30 years of experience as a workers compensation and personal injury attorney and remains of counsel at Losi & Gangi. 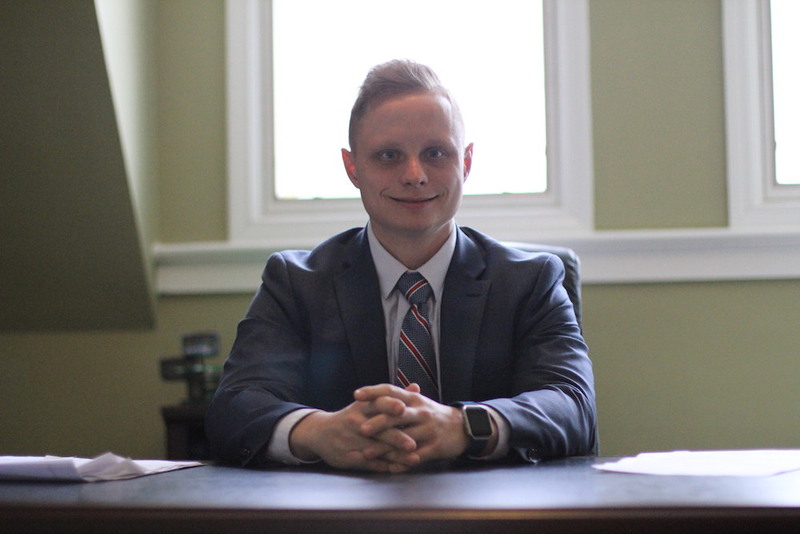 In 2018, Losi & Gangi acquired the law firm of attorney Thomas Ansuini. Ansuini’s firm also concentrated on workers compensation cases and is well-established in Western New York. Ansuini remains of counsel at Losi & Gangi and active cases have been transitioned to Losi & Gangi. Founded almost 20 years ago, Losi & Gangi Attorneys has represented injured workers in the practice areas of Workers Compensation and Personal Injury. Losi & Gangi has been recognized as one of the top law firms in Western New York by Buffalo Business First. The publication ranks law firms annually and the firm is honored to be included on this prestigious list. The firm includes 9 associate attorneys and three partners. In 2018, Losi & Gangi recovered more than $22 million dollars in settlements and verdicts for clients. Losi & Gangi welcomes our new clients and they are encouraged to contact us with any questions they may have regarding their cases at (716) 854-1446. When Can I Receive Permanent Disability Benefits After a Workers’ Comp Claim? If you have become permanently disabled from a workplace injury, you may be able to receive permanent disability benefits. Before receiving these benefits, you will have go through lengthy legal and medical steps required by New York State to show that your medical condition isn’t likely to change and that it either prevents you from working at all or limits your ability to work and earn your former wages. If you have completely recovered from your injury, you will not be eligible for further indemnity benefits, but you remain eligible for medical treatment. To even be considered for permanent disability benefits, your workers’ comp treating doctor needs to prove that you’ve reached a plateau in your recovery. This means that your condition isn’t expected to improve any further with more treatment. This is known as maximum medical improvement (MMI). It may take you a few months to a few years to reach MMI after you were first hurt on the job. The degree of severity of your injury will have the biggest impact on how long it takes. A broken bone will differ from exposure to toxic chemicals resulting in cancer or other occupational illness.Other factors such as the medical treatments available for your injury or if your insurance company has been dragging their feet on approving any procedures or surgeries may come into play. Once your doctor has determined you’ve reached MMI, the process starts to determine whether you have any and if so, how much permanent disability. This is the time when you stop receiving temporarily disability payments if you have been out of work and they haven’t run out yet. Typically, your treating doctor will say whether you have a lasting medical condition or lost function otherwise known as an impairment, that resulted from your work-related injury or illness. An impairment can be anything from a bad back to a missing limb to a painkiller dependency from medication you had to take for your injury. Your insurance company may request an independent medical examination (IME) to determine what your permanent impairments are. States have different criteria for using the medical information about impairments to decide whether injured employees have permanent disabilities that affect their ability to perform certain tasks at work or to even work at all. The result of this process is called your “loss of wage earning capacity”, (LOWEC) and is expressed in a percentage. There are times you don’t have to prove that you can’t work at all in order to receive permanent disability benefits. If you lost your eyes or an appendage you may already be considered permanently disabled. If you have a combination of permanent impairments that add up to a 100% disability rating, you may also qualify for permanent disability benefits. If your disability rating is less than 100%, you may be able to receive some kind of permanent partial disability benefits. Once the Worker’s Compensation Board hears from a doctor that you have a permanent disability, they will begin the process of establishing your level of disability. If there is any sort of dispute, whether it is over the amount of permanent disability to if you have any lasting impairments, you should contact a workers’ compensation lawyer as soon as possible. Since the process is complicated, insurance companies and their lawyers do everything in their power to keep their costs down by minimizing or denying permanent disability benefits. This is when you need an experienced attorney representing you and helping protect your rights. Unfortunately, permanent disability benefits may not necessarily last the rest of your life. If you are classified totally and permanently disabled, you’ll usually receive lifetime benefits, but if you only have permanent partial disability you may be limited to how long the benefits will last. Whether your benefits are for partial or total permanent disability, you may be able to opt for a lump sum payment in a workers’ comp settlement. Losi & Gangi Attorneys are here to help answer any of your workers’ compensation questions and ensure you are fairly represented in your worker’s compensation claim.. Give us a call today at 716-854-1446 and one of our attorneys will assist you in receiving the compensation you deserve. If you were injured on the job or developed a medical condition because of your work (cumulative trauma like a repetitive strain injury (RSI) you are probably hoping to receive workers’ compensation benefits. Workplace injuries are generally covered by your employer’s workers’ compensation insurance. Many states require employers to be covered in accordance with the average level of risk for that particular industry. What can you do if your claim has been denied? You may be able to appeal your denial through your state’s board of workers’ compensation. Employers or their insurance companies sometimes look for any possible reason to deny workers’ comp claims. The first thing you need to do is determine the reason why your claim was denied. The details should be explained in your denial letter. In New York State that form is called a SRO 1-04. If you believe your denial was done in error you can appeal. Your employer may say that you weren’t working when you were injured, or that you were involved in some sort of horseplay or misconduct, or that your current medical condition is not a direct result of an accident at the workplace. Whatever your reason for filing the workplace injury claim, you will need to gather sufficient evidence to support the claim. Some examples include, witness testimonials, or medical evidence and records. If the doctor that is treating you has already stated that your current condition was due to an injury at work, but your insurance company disagrees, you may need to get schedule another medical evaluation to get an additional doctor’s opinion. The law in your state may have special restrictions on workers’ comp claims for increasing trauma or psychological conditions. Some states rule out workers’ comp benefits for illnesses caused by long-term stress at work. In most cases, you must receive medical treatment in order to receive workers’ comp benefits. If you deny or do not seek out medical treatment your claim may be denied. When you discuss the extent of your injury with your employer, they should pull out the employee handbook to review their policies and procedures. Employees that initially report the injury but refuse treatment may see that their workers’ compensation benefits are suspended. Your employer may not allow you back at work until you pass a medical clearance test to determine if you can perform your everyday duties. Timing is everything when it comes to filing a workers’ comp claim. You should immediately report your injury with human resources and make it clear that you were hurt on the job. Check with state laws to see what your timeframe is to file your workers’ comp claim. If you did not adhere to the state laws, your claim could be denied. This goes for both reporting your injury and filing your claim in time. Many states include limited exceptions for when the injured employee couldn’t file a claim right away because they were in a coma, severe injuries that required immediate and prolonged treatment or surgery (burns) or the employee had to remain quarantined. Don’t hesitate to file a claim even if your injury seems minor. It could get worse as time goes on especially if you have neck or back injuries. If you happen to file a claim and the injury gets better on its own, the claim will be closed but if you wait to file you could lose the chance to get benefits or risk the claim being denied. Have you recently quit, been laid off or fired from the job where you filed your workers’ comp claim? Insurance agencies usually deny claims that were filed after you left the company. Did you report the injury while you were still employed there or during the time that you gave your notice? Some states have special rules for workers’ comp claims that were filed after you left your job. If you qualify for one of these exceptions you may be able to receive workers comp. So Your Claim Was Denied, Whats Next? Don’t feel like you won’t be receiving workers’ comp benefits just because your claim was initially denied. Double check and reread the letter that was sent to you saying that your claim was denied. The reasons should be listed but if you feel that it had to do with paperwork or a similar mistake, you should contact your claims adjuster and employer to explain your situation. In most cases you will have to consider appealing the denial. Your letter should give a deadline for filing your appeal, which is determined by state law. The first level of the appeal will be a hearing where you will have to provide medical and any other type of evidence that supports your claim in front of an administrative law judge. The hearing can be done through your state labor department or state board of workers’ compensation. If you still want to appeal the decision, you should look into getting a workers’ comp lawyer as soon as possible. A lawyer will help you determine whether or not an appeal would be the best route. Since the deadlines for workers’ comp are short you don’t want to miss out on receiving your benefits because you we’re late. You will want to bring any documentation, medical records and reports that state your case to your court date. If you have any questions about your workers’ compensation claim or would like more information, call Losi & Gangi at 716-854-1446. When you get hurt on the job, your injuries may last longer then you might have expected. It is important to make sure you are not wrongfully denied benefits to receive the maximum amount of compensation you can. Without legal representation, you are at the mercy of the insurance carrier and the adjuster who is handling your claim. Insurance companies may find ways to delay, limit, or even discontinue your benefits for many different reasons. Some adjusters do right by the injured employee by approving medical expenses and paying the correct benefits on time. However, sometimes adjusters hide information from you and will not tell you the whole truth about your claim. For example, do not ask an adjuster how much your benefit checks are worth, keep in mind that they are the ones who chose that amount. The adjuster will tell you the amount you are receiving, whether or not it is the amount it should be. The only way to make sure you are receiving all of the benefits you are entitled to, is by speaking to an experienced workers’ compensation lawyer. According to workers’ compensation laws, you must report the injury as soon as possible or within the next 30 days. Some workers’ compensation lawyers may deny claims simply because the injured employee did not report the injury immediately. If you think you are unable to work the next day, report the injury to your supervisor as soon as possible. This will help better your chances of getting your benefits promptly. Your employer will also require you to fill out and sign an accurate accident report. Witnesses are crucial in work related injuries to prove that you were actually hurt on the job. If anyone witnessed your accident, get their names and contact information. Make an appointment to see a doctor after the injury. Insurance companies like to assume that if you did not receive medical treatment, you were not hurt. Additionally, it is important to attend your appointments and follow up with the prescribed medication and treatments. If insurance companies notice a pattern of missing medical appointments they will assume you have recovered and will start looking for ways to terminate your benefits. Insurance companies will deny workers’ compensation claims if your medical records do not adequately describe the accident and injury. If you tell your supervisor how it happened one way but then tell your doctor it happened another way it will hurt your case. Make sure your statements match up and stay consistent. By clearly explaining the injury to your health care provider, they are able to keep their records more accurate. You do not have to elaborate the injury in full detail, keep it basic so the doctor can write it down correctly. Make sure you say that the injury happened at work. The insurance company may ask you to sign a limited medical authorization allowing them to receive copies of your medical records. This request is reasonable, however, they are only entitled to record and bill related to your work injury. 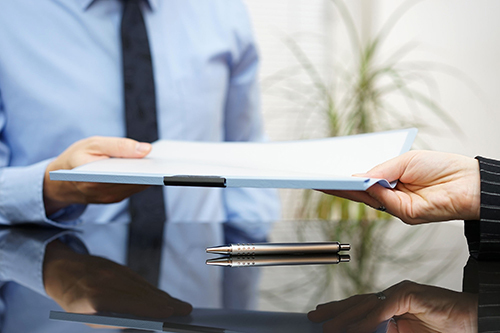 You should not sign any other authorizations because insurers are not entitled to those records without discussing the them with a workers’ compensation lawyer. Unless you have a workers’ compensation lawyer, you must attend every legal meeting or court date during an appeal. If you do not appear at one of your scheduled legal appointments, you risk losing your benefits. Even if you have a lawyer, you will need to show up for key appointments such as your deposition and independent examination. If you have to miss an appointment, you should notify your insurance company and state agency beforehand. Finally, talk to a workers’ compensation lawyer. You may not need a lawyer if your workers’ compensation claim is very simple or if the insurance company voluntarily pays the claim. Consider hiring an experienced lawyer to help you understand the benefits you should receive from your work related injury or if you are having trouble getting any information from your insurance company. If you have questions or think you may have a workers’ compensation case, you can always speak to one of the attorneys at Losi & Gangi. Call us at 716-854-1446. Damages: One key difference in damages is workers compensation is not entitled to receive pain and suffering benefits. In a workers compensation case, the injured worker receives impairment benefits, medical bill coverage, and weekly compensation. However, in a personal injury lawsuit, you may receive all the damages that you suffered such as pain and suffering, lost earnings, and loss of enjoyment of life. Determining Fault: Accidents happen everyday but in order to recover damages in a personal injury case, you and your lawyer must prove that the other person neglected the safety of his/her property. However, because workers compensation is a no fault system, you do not need to prove you, your employer, or co-workers did anything wrong in order to receive benefits. Right to Sue: Once the injured worker files for workers compensation they cannot file a lawsuit against their employer. They forfeit their right to sue once they are in the process of receiving workers compensation benefits. However, in a personal injury case, the injured worker may sue for their injuries and suffering. An easy way to determine whether to file for personal injury or workers compensation is to figure out who is liable for the injury. The difference between personal injury and workers compensation has to do with liability. Once you understand who is liable for the injury you can quickly see which position to take. A work-related injury can cause major disruptions in ones life. It is an unfortunate reality that work can be dangerous. Although some jobs may be more hazardous than others, every job is at risk of injury or illness. Some injuries may be temporary but others can be long-lasting. This may require the injured worker to take time off to recover and file for workers compensation. The New York State Workers Compensation law is a no-fault system. This means that injured workers can receive benefits even if they were partially responsible for the accident to cause the injury. Furthermore, even if the injured worker is partially responsible for the injury, the amount that the claimant is awarded is not decreased by their carelessness. However, if the injury results solely from being intoxicated by drugs or alcohol or from the intent to injure themself or someone else, the worker loses their rights to workers’ compensation benefits. The claim is paid by the employers insurance if the employer or the insurance carrier agrees that the injury or illness was work related. 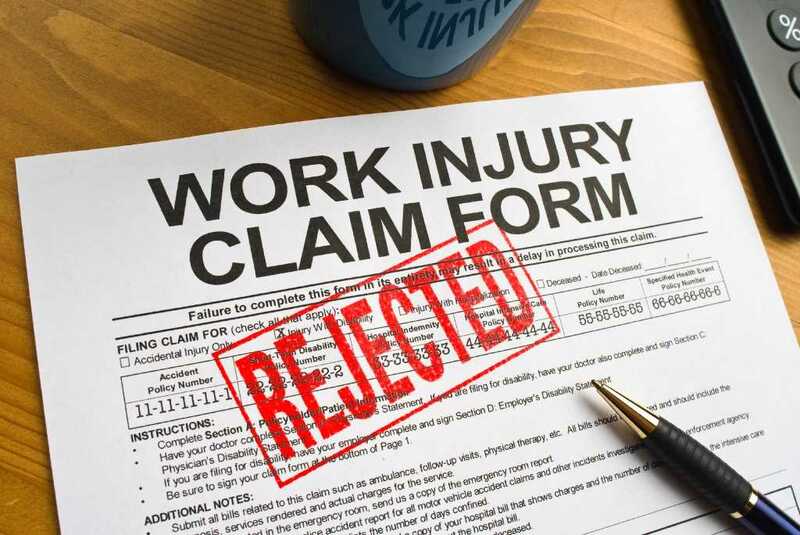 However, if the employer or insurance carrier disputes the claim, the injured worker does not receive benefits until the Workers’ Compensation Law judge determines who is right. If the verdict results in favor of the injured worker but is not receiving benefits because the employer or insurance company does not agree with the verdict, the injured worker may be eligible for disability benefits in the meantime. However, if eligible, the payments they receive from the disability program will be subtracted from future workers’ compensation benefits. Workers compensation benefits are available both for injuries caused by accidents and illnesses, such as lung diseases for workers who are exposed to respiratory dust. Injured workers must prove that the accident or occupational disease arose during working hours in order to qualify for workers’ compensation benefits. Workers compensation also covers illnesses or injuries that are developed over a long period of time. For an example, back problems developed from repetitious movement. Time is limited to file a workers compensation claim so give us a call as soon as possible to talk about your claim. Tell the NYS Workers’ Comp Board to Stop Attacking Injured and Ill Workers! The last thing an injured or ill worker wants to think about is bureaucracy and red tape. Recovery should be the only thing on their mind. Unfortunately the bureaucracy at the Workers’ Compensation Board is proposing changes to its guidelines along with regulatory proposals that will result in drastic benefit cuts for injured workers. Please tell the Board what you think about these planned cuts. It will only take a moment. We’ve provided a letter that you can use to submit a comment to the Workers’ Compensation Board using the link below. Let them know this attack on workers will not go unanswered. The New York State Workers’ Compensation Law provides for awards to injured workers that lose use of an extremity due to a workplace illness or injury. These awards are made regardless of impact on earning capacity and are called schedule loss of use awards. Awards involving total loss of use such as an amputation or total paralysis of an extremity are controlled by statute, while calculation of partial awards is a matter of Workers’ Compensation Board guidelines. Corporations have been lobbying hard to change those guidelines to shortchange workers. We can’t let that happen. Frankly, this plan is an insult to all working men and women. Benefit cuts for injured workers are wholly unjustifiable. Everyone hopes that their Workers’ Compensation claim is won on the first instance in front of a Workers’ Compensation Law Judge (“WCLJ”). However, unfortunately, this is not always the first outcome. Furthermore, even if a case is still won on the first instance, an appeal can still be filed by the carrier or opposing party. 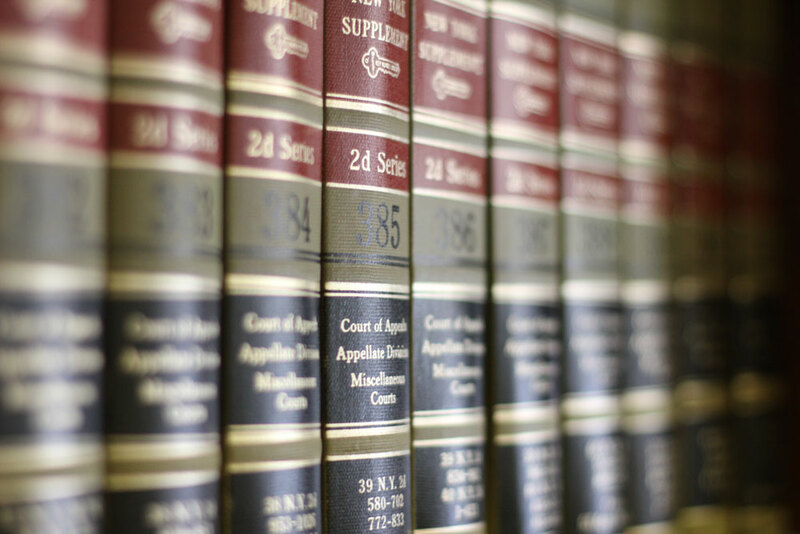 So, what can a claimant expect when their case is being appealed? Initially, the party appealing the decision will file their appeal. The party opposing the appeal will file what is known as a rebuttal. The rebuttal will generally request that the initial decision rendered by the WCLJ be affirmed in its entirety. The appeal and rebuttal will then go to a Three Board Panel Member (“Board”) review board. At that time, the Board has a host of options. The first option available to the Board is to affirm the decision of the WCLJ. This affirmance can occur in two separate fashions. The first fashion is an unanimous decision, meaning all three Board panel members agree with the WCLJ’s initial decision. If this occurs, the appellant (the party maintaining the appeal) can file what is known as a discretionary appeal to the next level of appeal in New York State Workers’ Compensation, the Full Board. If the appeal is discretionary, the Full Board has the option either consider the appeal or deny consideration of the appeal. The second way the Board can affirm an initial Decision of a WCLJ is through a split decision. Essentially, this means that out of the three Board Panel Members, there is a dissenting opinion from one that will argue for a different holding than initially made by the WCLJ and his or her fellow Board Panel Members. At this time, the appellant may file a mandatory appeal to the Full Board. A mandatory appeal is an appeal that must be considered by the Full Board. The third option available to the Board is to issue a decision that will modify the WCLJ’s initial decision. In this instance, the Board Panel agrees with some aspects of the initial decision but feels it is appropriate to alter other aspects of the initial decision. In this instance, the parties may still file an appeal to the Full Board based on the holdings that are potentially modified. During the appeal process, it is also important that claimant’s counsel protects the rights of the claimant to bring his or her appeal to the New York State Supreme Court, Appellate Division, Third Judicial Department. As Workers’ Compensation Board Decisions are issued within the realm of Administrative Law, a claimant has the right to seek relief with the New York State Supreme Court. In New York State, the Third Judicial Department Appellate Division is vested with the authority to hear appeals that originate in New York State Workers’ Compensation. 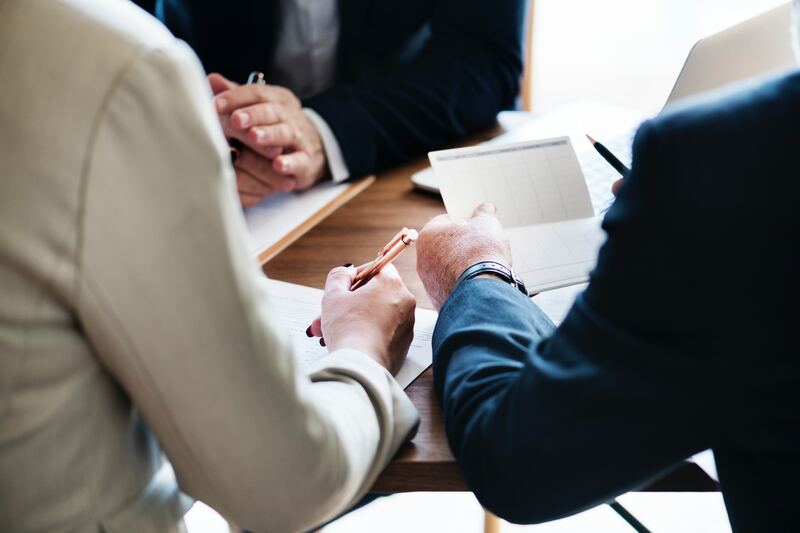 To properly protect a claimant’s right to maintain an appeal to the Third Department, there are multiple time filing requirements and notice requirements that must be met following the initial decision from a WCLJ. If these time requirements are not met, a claimant may be denied his or her right to seek relief to the Appellate Division for the Third Department of the New York State Supreme Court. As highlighted by the above, the appeal process within the New York State Workers’ Compensation Board is timely and complex. The Law firm of Losi & Gangi has extensive experience in maintaining appeals in the New York State Workers’ Compensation Board as well as to the Appellate Division for the Third Department of the New York State Supreme Court. We have litigated cases from their initial inception and through the appeal process with success. Although it is our goal to win in the first instance, our team is dedicated to seeing every case through until the proper determination is made or all avenues of relief have been exhausted. What Injuries or Illnesses will be covered by Workers’ Compensation? The nature and cause of a work-related injury greatly ranges and must be assessed on a case by case basis. A work related injury can stem from a single isolated event; such as lifting a heavy object and feeling pain in your back or other part of your body, or development of an injury over a long period of time, such as carpal tunnel syndrome or occupationally related hearing loss. Regardless of the incident, each case deserves the appropriate resources to ensure that the injured worker’s rights are properly protected and to ensure the greatest recovery possible. What benefits can a claimant expect to receive following a work-related injury? In a workers’ compensation claim, a claimant’s recovery is limited to wage indemnification benefits for actual time lost from work, awards for permanent impairment, and payments of all related medical and vocational treatment. A claimant’s wage indemnification benefits will be limited to up to two-thirds of the claimant’s average weekly wage for the year preceding the injury. A claimant’s ongoing medical care must also be consistent with specific rules and regulations, as promulgated in the New York State Medical Treatment Guidelines. There are a variety of factors and timelines in place that can impact a claimant’s wage indemnification and medical benefits. These factors and timelines must be adhered to in order to ensure that an injured worker’s rights are fully protected. If you have been injured on the job and have questions or concerns, please feel free to contact us! The law firm of Losi & Gangi is professional limited liability company that concentrates the majority of their practice on workers’ compensation matters and personal injury law. 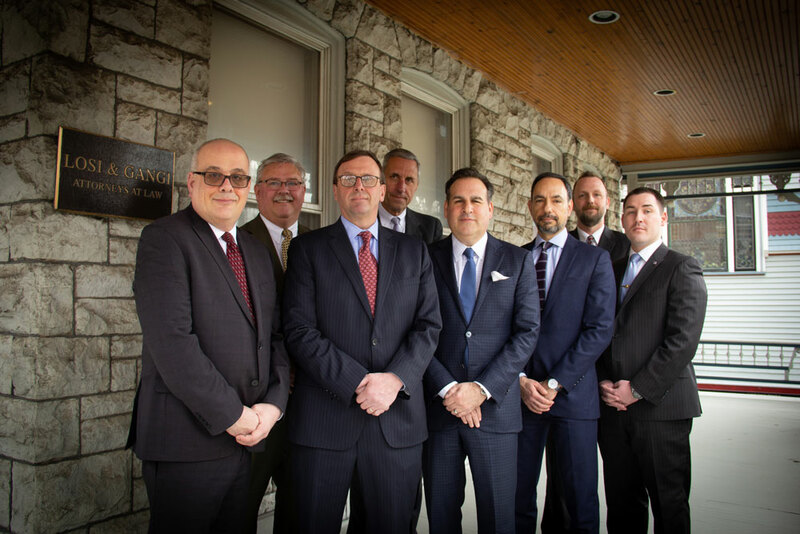 The firm consists of partners, Jeffery D. Gangi and Harry G. Modeas, with associate attorneys Thorice M. Jacobs, Brett Miller, and Philip Scaffidi. Furthermore, the firm employs Patrick Brown, Esq., of counsel. In addition to our attorneys, the firm also employs a licensed workers’ compensation representative, Jay P. Boardway.